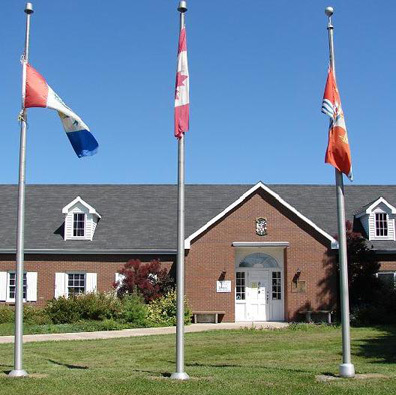 The McCulloch Heritage Centre was built in 1973 and hosts a broad range of temporary exhibits focusing on local history and culture during the summer months. It is also the location of the archival facility and research centre. With a growing interest in the heritage of Pictou County, this abundant archival resource includes hundreds of personal and corporate documents as well as family histories, newspapers on microfilm, vital statistics and much more. These resources combined with an extensive local history library provide visitors, students & academics alike the opportunity to deeply explore heritage. On-site research is available. There is a cost of $5.00 CAD per day for the use of the archives. Members are not charged admission. A one-year membership to the McCulloch Heritage Centre Archives costs $10.00 CAD and includes reduced user fees. Research by correspondence - There is a flat fee of $5.00 CAD for each research request. If it's a fairly straightforward request, it can usually be done for that. More involved research is done at a rate of $15.00 CAD per hour plus any associated costs (photocopying, shipping & handling, etc.). In order for the search to be effective, please be as specific as possible. Providing as much information as possible (names, dates, places, etc.) will help us to help you! It is usually quickest and easiest to correspond through email, but you can also call or mail us requests. Unfortunately, the use of the archives is NOT included with the purchase and use of a Nova Scotia Museum pass.